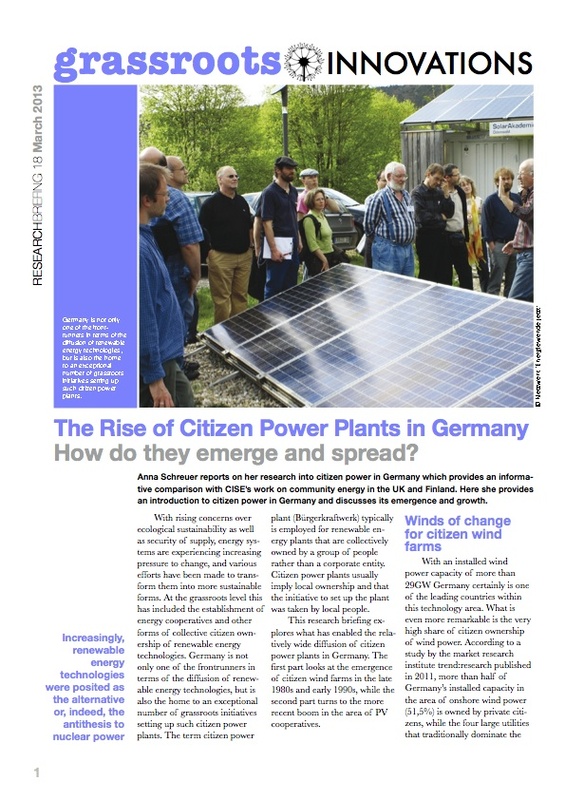 The Rise of Citizen Power Plants in Germany: How do they emerge and spread? Anna Schreuer reports on her research into citizen power in Germany which provides an informative comparison with CISE’s work on community energy in the UK and Finland. Here she provides an introduction to citizen power in Germany and discusses its emergence and growth.